What does it mean to live a more sustainable lifestyle? Is it giving up the consumption of animal products and purchasing goods only from brands that limit their impact on the environment? Is it putting a ‘no junk mail’ sign on your letterbox to limit the amount of paper you use? Is it timing your showers, hand washing your clothes and turning the lights off when you leave a room? Every person’s answer to sustainable living is different. The common thread, however, is that every sustainable thought makes a difference. You don’t have to consume yourself with sustainable living – you just have to take small steps to improving the way you consciously spend each day. Dedicate even a small window of time to sustainable practice, and you’re living a more sustainable lifestyle. Here are some small steps to take. Caring for your home and your family – especially if you have children – is a major priority for most parents. Overlook the effect of commercial household cleaning products and you can jeopardise the health of both your family and the environment. Most cleaning products on the market contain harsh chemicals that are toxic – especially if ingested. Additionally, chemical residue contained in products like laundry detergent and floor cleaners can cause allergic reactions if absorbed in the skin and breathed in. Using natural cleaning products is more than ‘saving the environment’ – it’s better for your child’s health. Singapore uses about 3 billion plastic bags a year and the average newborn has up to 12 nappy changes per day. In terms of protecting Mother Nature, removing these two disposables alone can make a big difference to your global impact. Ban plastic cutlery and single-use batteries as well, and you’re on your way to living more sustainably. You don’t have to have a big garden to grow your own herbs, fruits and vegetables. You can utilise any space you have – windowsill, rooftop, courtyard – wherever. Basil, thyme, oregano, parsley, coriander, rosemary, dill and mint are all good candidates for small spaces. Cherry tomatoes, lettuce, spinach, kale, beans and capsicum are, too. Wear the appropriate clothing and dress your little one’s for the weather to limit your reliance on air conditioning and heating. Get cold? Add a layer of clothing. Too warm? Wear a singlet. Keep in mind other factors too like tinting your windows, shading your living areas with shrubs, and turning off heat-emitting culprits like the printer, TV and lamps. Organic farming rebuilds soil health and stops harmful chemicals from getting into our water supplies. There is no need for non-renewable oil-based fertilisers and pesticides, and fewer greenhouse gas emissions are released. On top of this, organic food is healthier, safer and tastier. Why wouldn’t you choose organic? Water demand in Singapore is currently about 430 million gallons per day. This figure is likely to double by 2060. Every drop saved brings this amount down. Why not make water conservation a way of life? Take shorter showers, turn the tap off when brushing your teeth and ask for a free water saving kit from PUB to help you reduce as much as 5% of your monthly water consumption. Singapore’s MRT system is the fastest way to zip around the city and it’s also the most environmentally friendly mode of transport. Buses are a great way to move about, too. The extensive network of routes taking you almost anywhere you want to go. Kids under 0.9m are free and you don’t even have to fold up the stroller. The world drinks over $100 billion worth of bottled water each year, equating for roughly 50 billion bottles. In addition, 17 million barrels of oil are used in the production of disposable water bottles annually. Singapore’s tap water is well within international guidelines set by the World Health Organisation and is suitable for drinking without further filtration or boiling. Choosing sustainable fashion can be done in many ways. You can invest in better quality items that last longer (and avoid fast fashion); buy second hand clothing where possible. Also, support fashion brands that are ethical and environmentally conscious, and you can rethink your wash habits. 25% of the carbon footprint of clothes comes from the way we care for them. Going paperless is one of the simplest ways to live more sustainably. Opt to receive digital letters, bills and notices, send electronic baby and wedding notices, send email greetings instead of a Christmas cards, and get rid of your home printer. This will encourage you to use a printer only when you absolutely need to. Feeling inspired and wondering what step to take first? 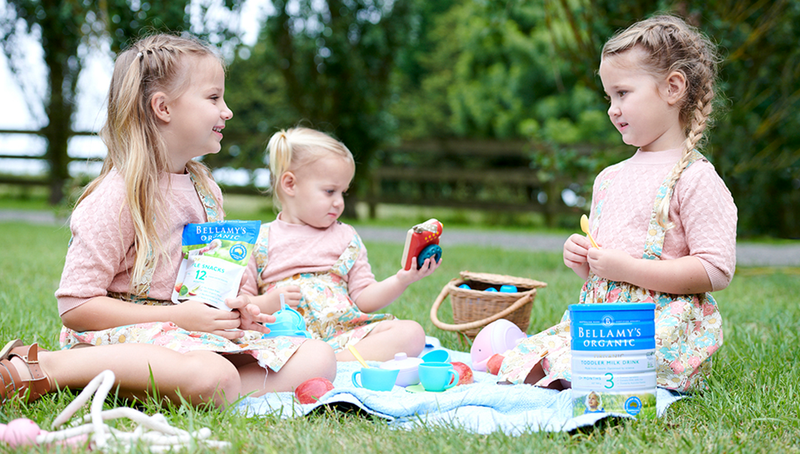 Hop online and learn about Bellamy’s Organic, check out the latest news and resources, and order your little one’s wholesome, nutritious and organic food, milk and snacks. Providing a convenient and healthy choice for busy parents, Bellamy’s Organic is a simple way to ensure your baby has a pure start to life. This recipe for a natural, all-purpose cleaner that will get rid of grime without leaving nasty chemical behind is super easy to make. Mix the vinegar, essential oils and a splash of the water in a clean spray bottle (we recommend using a recycled bottle or glass bottle instead of plastic for true sustainability!). Add the baking soda, then fill to top with water. Gently shake to mix ingredients, and then spray the dirty area, wipe with a cloth, and allow it to dry.